The conference is organized under the auspices of the National Council of Astroparticle Physics (Krajowa Rada Astrofizyki Cząstek), which also acts as the Advisory Board. Credits: The image at the top of the page incorporates images by Pierre Auger Observatory and Sergio Sciutti, as well as by the ALICE experiment at CERN. 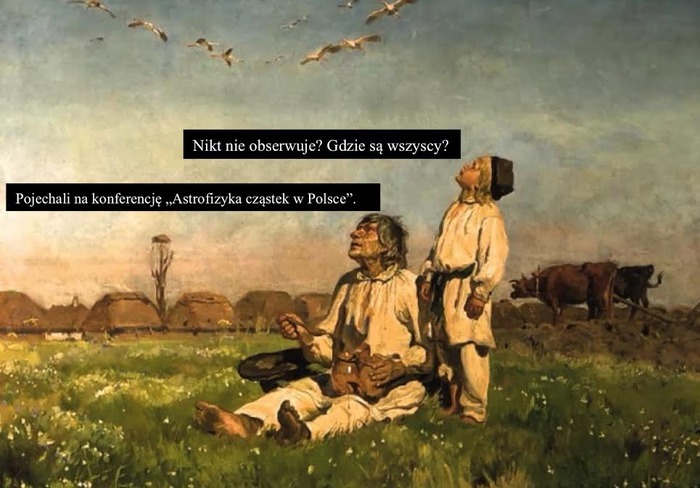 Cartoons are based on paintings of Józef Chełmoński (1849-1916), a Polish painter of the realist school with roots in the historical and social context of the late Romantic period in the partitioned Poland.